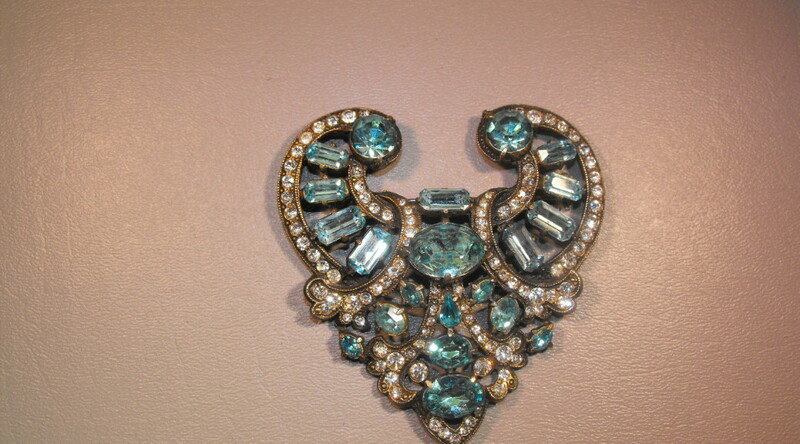 Open heart designed pin signed Eisenberg Original in powder blue foil backed and prong set faceted crystals accented with white rhinestone crystals. 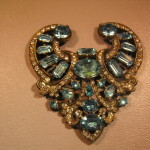 We date this piece around late 1930’s- early 1940’s. 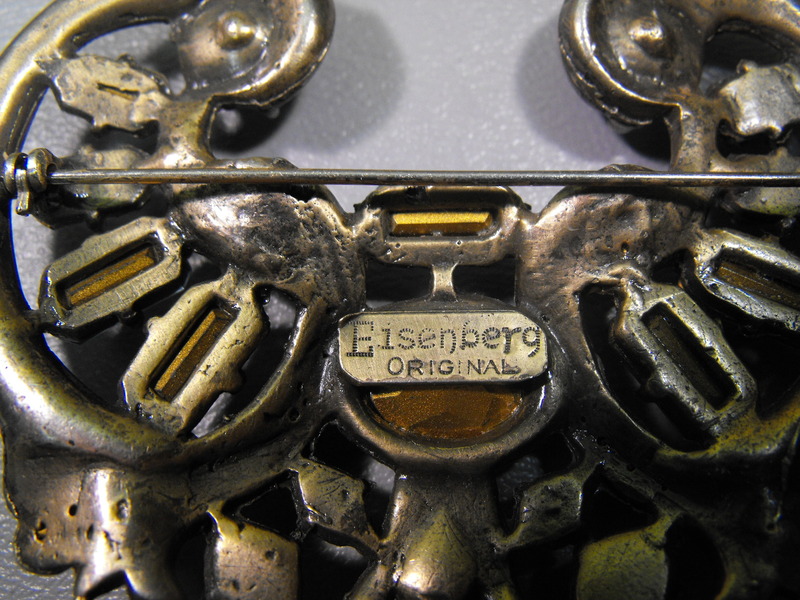 The pin has been worn and used and does show wear on the reverse side. All the stones appear to be original. 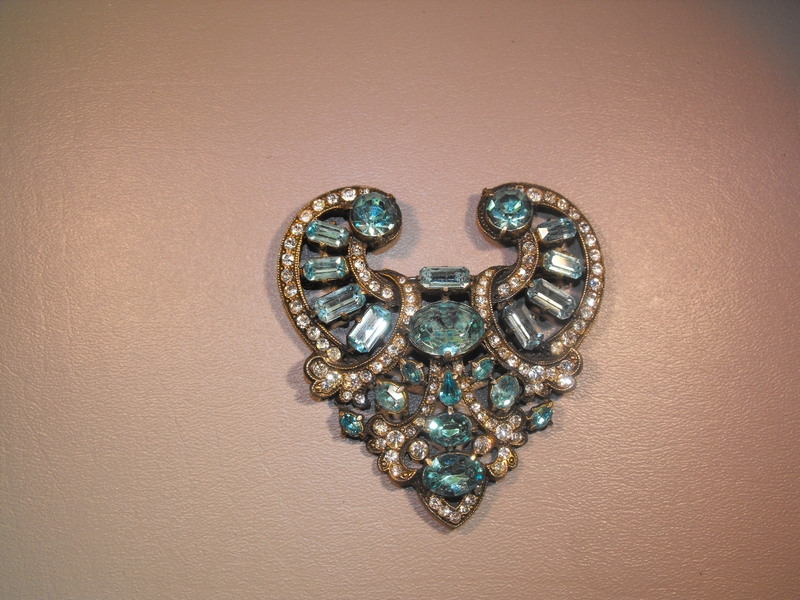 The pin measures about 3″ at its widest point and 3 ” in length. 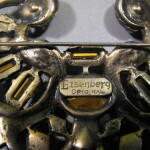 This would make a wonderful addition to your vintage collection and we are told that the colored Eisenberg stones are more desirable. 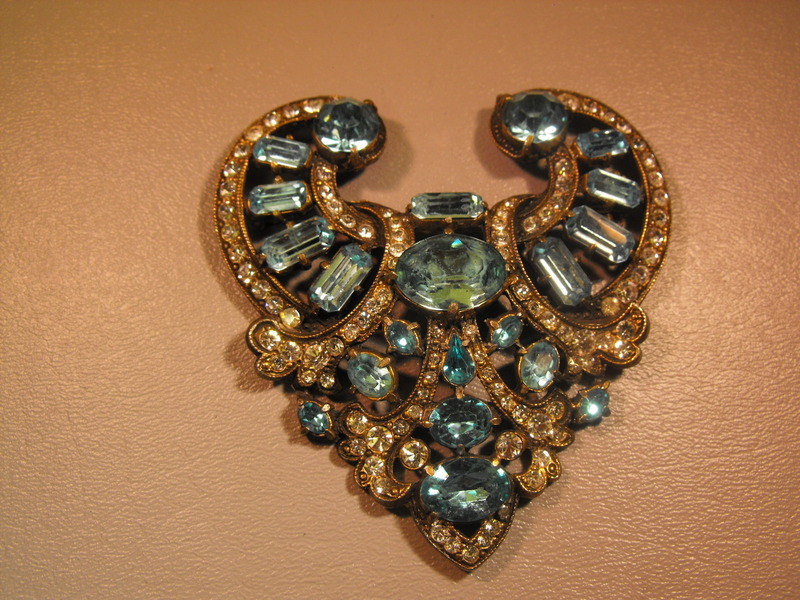 We feel this pin would bring out the best in any outfit. Please Note: This item is not available for a first time buyer’s discount. 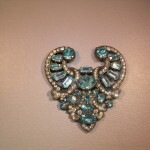 So…..make a statement by saying that you are as “original” as this pin.! Remember: All shipping and insurance is always FREE.